(Oxford, OH)--Our area may have a new Amtrak line that would provide a direct route to Chicago. Oxford is considering earmarking $350,000 to put a stop in there. The train current passes through Oxford three mornings a week, but does not stop. It’s one of two lines that pass through the Whitewater Valley. 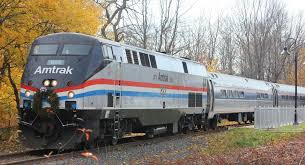 The Cardinal Line of Amtrak can be boarded in Connersville. Oxford’s council will again address the proposal next week.